Difference between revisions of "Configuring Digital Sound"
For Die hard Audiophiles, this resampling is a real source of irritation as CD audio is made using PCM at 44.1Khz. The upsampling in ALSA is unfortunately very low quality, and if you have a half decent amplifier and speakers, you will notice that CD playback has a congested compressed sound to it. This is very easy to overcome, by sending all your audio directly to your soundcards SPDIF or IEC958 Connector. The device name for this connector is typically "cards.pcm.iec958". So just configure this device as the audio device in MythTV. 7.1 I get no sound from MythTV when watching TV but MythMusic and command-line test all work fine. What is the problem? 7.2 How do I set up Myth plugins to use digital sound with mplayer? 7.3 How do I do this with a PVR-350? 7.4 How do I do this in KnoppMyth? 7.5 How do I do this in Fedora Core? 7.6 How do I get my mac mini SPDIF out working? 7.7 How do I get 5.1 AC3 audio to work again? Note: The title of this page may be "Configuring Digital Sound", but one can just as easily follow the steps outlined to get simple analog stereo working as well. It is just a matter of using the .asoundrc below and using the mixed-analog device. 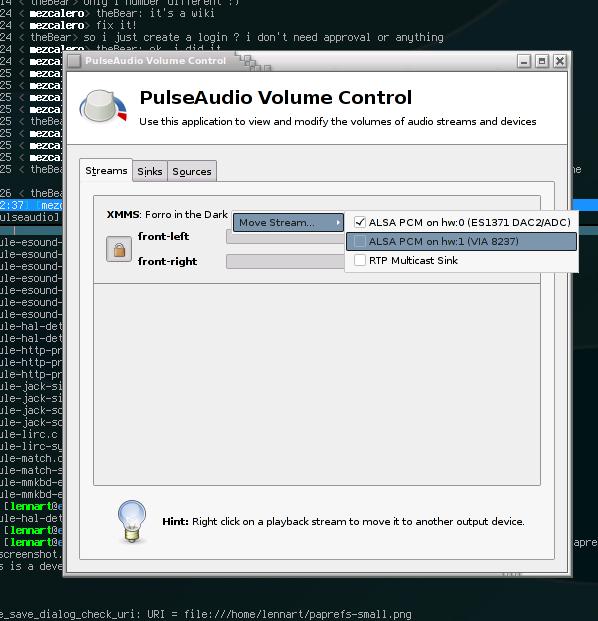 Using the "default" ALSA configuration (or the .asoundrc specified for your particular sound card at the http://alsa-project.org/ site) gives only a very basic configuration and relies on the user to specify all the sound stream handling required for a system's sound card. Instead of specifying this configuration information every time the sound card is used (or configuring it in every application), it makes more sense to create an ALSA configuration file. To use one of the named devices in Myth, specify the appropriate device for the Audio output device setting (in the General settings section of the frontend settings) using the format ALSA:devicename (case sensitive). You will need to type in the value, it's not in the list. Next, set the Mixer Device field to ALSA:default. The only valid device names in the below ALSA configuration file are default, analog, mixed-analog, digital, and mixed-digital. The filtering performed by these definitions may prevent AC-3/DTS passthrough from working. You may specify a different device for the Passthrough output device. replacing devicename with one of default, analog, mixed-analog, digital, or mixed-digital. Because aplay doesn't support many formats, an au file is probably the easiest type to test with. If you need one, download ftp://ftp.kernel.org/pub/linux/kernel/SillySounds/english.au and you can hear Linus pronounce Linux (from 1994). # device names ad described in the next section. #  sound cards) blocks other audio output. After playback completes, "queued"
#  sounds are output in sequence. # the devices "analog-hw", "dmix-analog", "digital-hw", or "dmix-digital". # appropriate four lines below (only one slave.pcm line). # such that their default "default" device is identical to the "mixed-analog"
description "Analog Output - Use analog outputs, converting samples, format, and rate as necessary." description "Mixed Analog Output - Use analog outputs, converting samples, format, and rate as necessary. Allows mixing with system sounds." description "Digital Output - Use digital outputs, converting samples, format, and rate as necessary." description "Mixed Digital Output - Use digital outputs, converting samples, format, and rate as necessary. Allows mixing with system sounds." # them directly. Instead use of of the devices defined above. For a detailed description of how this ALSA configuration file works, see this post from the mailing list. Then set the Audio output device setting (in the General settings section of the frontend settings) to ALSA:multi (case sensitive). If you want to use AC3 passthrough, you should also set the passthrough device to ALSA:digital or ALSA:mixed-digital. If you leave it set to Default, you will hear horrible noise on your analog output. Note that this means that when you are watching a source that uses AC3 passthrough, you will hear nothing on your analog output. NOTES: Works great from me set like this. (FC 6, Myth 0.20 installed from RPMS). Everything goes to the right place. 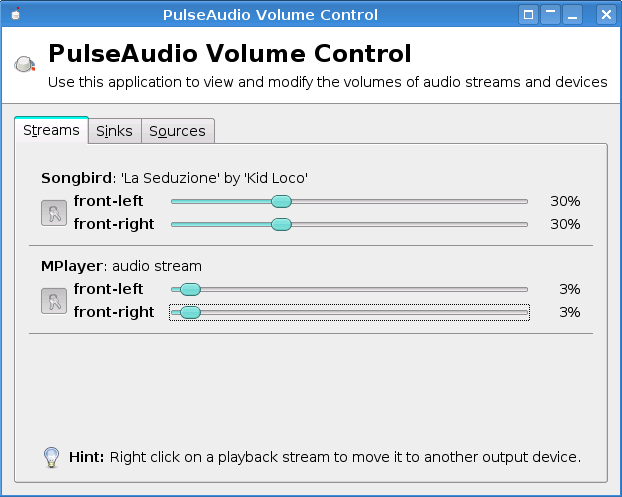 In my case the analog sound to the TV is connected to my HTPC's "Front" output jacks, so I must set the Mixer Device (in the General settings section of the frontend settings) to default, as above, and type "Front" into Mixer Controls so that Myth's volume control adjusts the proper channels. Even though I am on FC 6, I am using both parts of the above /etc/asound.conf. If you connect the digital output (SPDIF) of your computer to your stereo, and the analog output to your television, this set-up allows you to listen to the audio of a program through both your stereo system and your television's speakers simultaneously, or to choose between the two simply by muting one.